CIQ, the former inspection and quarantine agency, was integrated with China Customs earlier this year. In order for Customs to identify products that are subject to inspection and quarantine codes, three additional digit codes must be added to the declared China HS code. Some products that are not subject to any import/export control will add a generic three digit ‘no control’ code. Products that are subject to control will need to add the correct three digit codes that applies to the product’s specifications. This can require extensive technical analysis that goes beyond what is normally needed to determine HS classification. A new field exists where the overseas exporter (on imports to China) or importer (on export from China) must be entered. If the overseas party has obtain a trusted trader AEO status, and the country where they are registered has a Mutual Recognition Agreement with China, the overseas party’s AEO number should also be entered on the China CDF. This will allow the reduced inspection and other AEO benefits to be realized. Countries/Regions with current AEO Mutual Recognition Agreements with China are: Australia, EU, Hong Kong, Israel, Korea, New Zealand, Singapore, and Switzerland. Specific filing requirements for CDF where a Free Trade Agreement treatment is being claimed. The ‘Remarks’ field of the CDF must contain certain types of information for certain types of special imports such as bonded goods, temporary import and export, Customs advanced-ruling, and pre-inspection & quarantine. Container details such as container number, container size, cargo weight, etc. must be included on the CDF. It will be more important than ever for importers in China to move their trade compliance management upstream to ensure that all the required information for the new CDF is accurate and in place prior to the goods arrival in China. This will reduce both clearance delays and the risk of non-compliance. Importers in China must reassess their HS classifications to ensure the accurate 3 digit codes are declared. If this determination is left to customs brokers at the time of import it is very likely that clearance delays will occur. Given the importance of HS classification to duty payment, FTA usage, and import/export licensing, this may also be a good time for a comprehensive clean-up of the HS codes declared in China. Exporters to China in may also find that they are increasingly asked to achieve Trusted Trader / AEO status in order to expedite the import process in China. 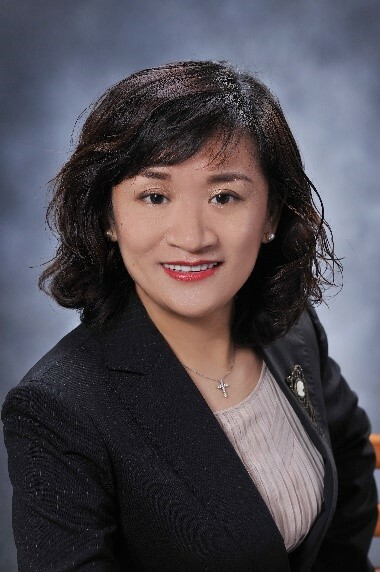 Cindy Chen leads Tradewin China team and is responsible for overall management and leadership of China operations. Cindy possesses a wealth of knowledge and 18 years practical experience on all manner of China Customs and trade matter. She maintains close relationships with Customs, CIQ and other authorizations in China. In addition to technical knowledge of China trade regulations and policies, Cindy understands how those policies are implemented on the ground in real life. Prior to joining Tradewin, Cindy worked for General Electric (GE) for 12 years in a range of China and Asia Customs and trade compliance management roles including: Customs Strategic Initiatives Leader – APAC & China; Customs Integration and Processes Project Manager – APAC; and Customs and Trade Compliance Leader – Greater China. Prior to GE, Cindy worked for Emerson responsible for Asia Pacific logistics. She is a graduate of East China University of Science and Technology, and also holding the PMP certification from the Project Management Institute.